UPDATED, 4:57 p.m. Dec. 27: The Chetrit Group has received an $85 million refinancing for its massive mixed-use project at 545 West 37th Street, according to sources familiar with the deal. The predevelopment loan comes from JPMorgan Chase and Mack Real Estate, and it was arranged by Galaxy Capital. Maverick Capital Partners also helped broker the deal on the JPMorgan side. Representatives for Chetrit and JPMorgan did not respond to requests for comment. Representatives from Galaxy Capital and Mack Real Estate declined to comment. Chetrit bought the Hudson Yards development site in 2012 for $26.5 million. The firm is planning a 46-story hotel and residential project that should span about 373,000 square feet and stand 622 feet tall. The hotel will be on floors nine through 27 and contain 358 rooms, and the residential portion will occupy floors 32 through 46 and contain 131 residential units. Correction: An earlier version of this story misidentified one of the brokers. It was Maverick Capital Partners, not Maverick Real Estate Partners. Meyer Orbach isn’t finished selling on the Upper West Side yet. 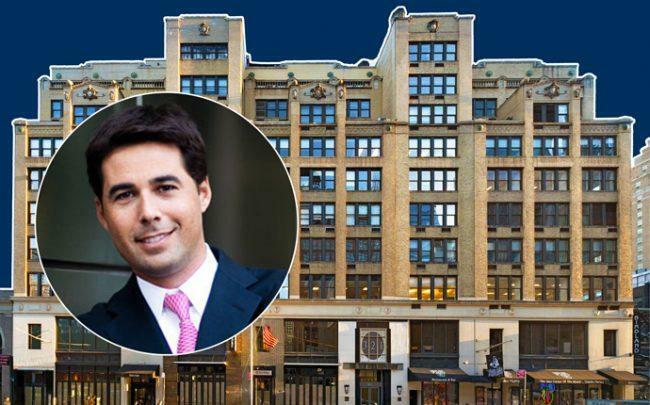 Orbach’s latest deal in the neighborhood is for 4-6 and 8-10 West 108th Street, which he is selling to David Schneiderman’s Four Winds Real Estate for $22.1 million, according to sources familiar with the transaction. The properties are contiguous six-story walkup apartment buildings located right by Central Park. They have a total of 48 units and span 41,940 square feet combined. Orbach purchased them in 2013 for $12.25 million. The deal was brokered by Aaron Jungreis and Ben Khakshoor from Rosewood Realty, who declined to comment on the transaction, and by Hall Oster and Bob Knakal from JLL. Jason Krane of Ackman-Ziff arranged financing for the acquisition. Four Winds and Orbach did not respond to requests for comment. Orbach has been on a selling spree on the Upper West Side throughout much of the year. His previous deals include selling a five-building portfolio on Manhattan Avenue and West 108th Street for $57 million to Quality Capital USA, selling 204 West 108th Street to Arkar Inc. for $32.5 million and selling four buildings on West 107th Street to Isaac Kassirer for $116 million. Did Matt Damon just close on this record-breaking Brooklyn penthouse? A penthouse at The Standish just broke Brooklyn’s residential sales record. The 6,218-square-foot unit at 171 Columbia Heights sold for $16.745 million, according to property records filed on Thursday. Matt Damon was reported to be in contract for the property in September 2017, and it appears the actor closed on the buy. Paperwork for the transaction was signed by a Gary Kress of Los Angeles, Damon’s business manager. Corcoran Sunshine had the listing. The unit sits on the 12th floor of the former Standish Hotel, which DDG and Westbrook Partners bought for $60 million in 2014. The developers converted the property into a 33-unit condo with a total projected sellout of $120 million. The borough’s previous sales record — $15.5 million — was set in 2015 by a townhouse at 177 Pacific Street in Cobble Hill. Photographer Jay Maisel was the buyer. The new record at 171 Columbia Heights might not stand for very long. In October, the Wall Street Journal reported that another Brooklyn Heights penthouse at the Quay Tower was in contract for over $20 million. That deal has not yet been recorded in city records. Retail is no longer in a free fall, but New York City’s market remained subdued in 2018, compared with the boom years of 2015 and 2016. The top 10 most valuable leases for the year tell the tale. McDonald’s, the global fast food giant, signed the most expensive retail lease in the city, inking a deal for about $11.5 million for its starting annual rent, research by The Real Deal found. That’s a shift from recent years, when the top spots went to trendy brands, luxury designers or high-end jewelry stores. For example in 2017, the most expensive deal was with Genesis, the high-end brand that car maker Hyundai will bring to the Meatpacking District, which paid about $11 million per year. And the year before that, the top deal was Nike’s $35 million lease at 650 Fifth Avenue, while in 2015, the top lease was watchmaker Swatch Group’s $35 million lease at the St. Regis on Fifth Avenue. Put another way, the top 10 retail leases for 2018 totaled $62 million, compared with $71 million in 2017 and an eye-popping $150 million in 2015. 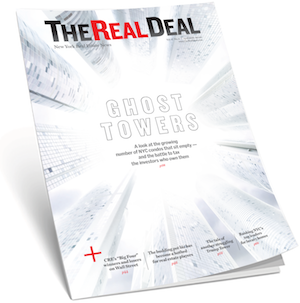 TRD communicated with more than 20 real estate professionals to determine the top 10 deals and the estimated annual rent. The rents are approximate and no figures were confirmed by sources on the record. Renewal deals were not included. And there were other indications of a muted 2018, including the relatively large number of relocations within the top 10, as opposed to new entries to the market or expanding brands. “We are not seeing the $20 million to $30 million rents being paid for showcase stores. The reality is that it’s difficult to carry a rent of that magnitude [now],” Robin Abrams, a broker with Compass, said. She said the relocations underscored that firms with experience in New York were the ones prepared to sign large leases. And she took that as a positive sign of stability for the city. “Tenants that have an existing presence in the market and are relocating — in many cases to larger more pricey real estate — and continue to operate in a challenging real estate market — that is not bad news,” Abrams said. And despite the lower figures, brokers are seeing strong activity at the close of the year, said Karen Bellantoni, a broker at RKF. She expected to see many deals close in the first quarter of 2019. “We are doing a ton of transactions, although maybe not as big as a few years ago,” Bellantoni said. She was optimistic, in part because she’s seen long lines to get into experiential stores. And that online retailers continue to open brick and mortar stores. “It’s now very clear that the web business can’t stand on its own. They need stores to support it,” she said. McDonald’s signed the most valuable retail lease in the city, paying approximately $11.5 million per year at its new location in Times Square, at 1530 Broadway. The tenant is paying about $8.9 million per year for the retail space and the balance of the rent payment is for a large sign. The quick service restaurant will take 4,000 square feet on the ground floor and 3,000 on the second floor. Colliers International’s Brad Mendelson and David Green, Nicole Mendelson and Tommy Botsaris represented the landlord Charlie Moss and his Bow Tie Properties, while Cushman & Wakefield’s Andrew Kahn and Christian Stanton represented the restaurant. McDonald’s will vacate its store at 1560 Broadway where it was paying under $5 million, in a space controlled by SL Green Realty and Jeff Sutton’s Wharton Properties. German shoe and athletic apparel company Puma signed the second most valuable lease of the year at 609 Fifth Avenue, the former home of American Girl. Puma is taking approximately 24,000 square feet in the building, and paying $8.9 million as a starting rent in the 15-year deal. The retailers will occupy a portion of the basement, the first floor and the entire second floor. JLL’s Robert Gibson and Greg Covey represented the tenant, while Cushman & Wakefield’s Steven Soutendijk represented the owners. Tiffany & Company took a short-term, three-year sublease at 6 East 57th Street, the former home to athletic retailer Nike. The 181-year-old jeweler will pay approximately $8 million per year, insiders said. The jeweler will occupy the 73,350-square-foot space while its flagship location next door at 727 Fifth Avenue undergoes a renovation reported to cost an estimated $250 million. Nike vacated the 57th Street location earlier this year to relocate to a 69,000-square-foot, seven-story retail space at 650 Fifth Avenue controlled by SL Green and Jeff Sutton. Nike signed a lease in 2016 for the space with a starting annual rent of $35 million, making it the most expensive deal signed that year. The Trump Organization controls 6 East 57th Street through a long-term lease, but SL Green and Sutton agreed as part of Nike’s complex Fifth Avenue transaction, to pay the remaining term of the 57th Street lease, which extends through to mid-2022, at a rate of about $13 million per year, insiders said. The Tiffany’s deal will now provide the partnership with sublease payments through the end of the lease term. CBRE’s Andrew Goldberg and Annette Healey represented Tiffany’s, while RKF’s Ross Berkowitz, Tyler King, Ariel Schuster and Jason Wecker represented SL Green and Sutton. Women’s fashion designer Celine signed a deal for 5,000 square feet at Vornado Realty Trust and Crown Acquisitions’ 650 Madison Avenue, paying an estimated $7.8 million in an annual rent. The deal also includes 800 square feet of additional storage space. The deal was direct, with Vornado and Crown negotiating with the tenant for the space with no brokers, insiders said. Celine, currently at 870 Madison Avenue, is one of several tenants on the avenue to relocate this year. The other high-end one is Balenciaga, which landed as number six on this ranking, taking space on the next block south at 620 Madison Avenue. The Celine lease terms penciled out to roughly $1,300 per square foot, compared with Balenciaga’s lease at under $1,000 per square foot. Insiders pointed out that 650 Madison has extremely high 22-foot ceilings and is also one of the few buildings on the pricey stretch of Madison Avenue that is not subject to Landmarks Preservation Commission regulations. Because of that, Celine has greater freedom to brand the facade with its name, whereas Balenciaga and most Madison Avenue tenants are restricted in the kind of signage they can employ. Cosmetics manufacturer Coty inked a lease for its Cover Girl brand at 719 Seventh Avenue in Times Square, paying an estimated $6 million per year. The 10-year deal covers 10,040 square feet for the entire four-story building located at the corner of 48th Street. In addition to the retail, the lease also came with 5,800 square feet of LED billboards. JLL’s Michael Hirschfeld represented Coty, while RKF’s Ariel Schuster, Ross Berkowitz, Mitch Heifetz and Jason Wecker represented the landlord SL Green. Fashion brand Balenciaga signed a lease at 620 Madison Avenue, paying an estimated $5 million in annual rent. The landlord, Boston Properties, was represented by Cushman & Wakefield and Colliers International. Balenciaga was represented by Isaacs and Company. Fast-fashion retailer Forever 21 signed a five-year deal to take former H&M space at 435 Seventh Avenue in the Penn Plaza district. The tenant will be paying landlord Vornado an estimated $4.3 million per year for the 43,000-square-foot space, located at the corner of 34th Street across from Macy’s. Cushman & Wakefield agents Jason Greenstone, Michael O’Neill and Taylor Reynolds represented the retailer. Target, one of the few big box retailers to sign multiple big deals this year, is paying an estimated $3.85 million in annual rent for a 35,601 space at AvalonBay Communities’ 1865 Broadway in the Lincoln Square neighborhood. The space is in the base of AvalonBay’s under-construction, 172-unit condominium and rental tower, that includes 70,000 square feet of retail at the base. Ripco Real Estate’s Richard Skulnik represented Target, while JLL’s Patrick Smith, Matt Ogle, Corey Zolcinski and Erin Grace represented the landlord. Illustrating the influence of the fitness industry, the ninth most valuable lease was Peloton signing a deal for 26,000 square feet at 450 West 33rd Street, the Brookfield Property Partners rehabilitated office building in Hudson Yards. The studio gym chain that also has an online presence is paying approximately $3.4 million per year for the space. The landlord was represented by JLL and Peloton was represented by Newmark Knight Frank. British fashion designer Ralph & Russo inked a 15-year lease with an estimated annual rent of $2.85 million at Thor Equities’ 680 Madison Avenue on the Upper East Side. It’s the company’s first store in New York City. The lease, for 5,800 square feet of space, has 2,300 on the ground floor and 3,500 square feet on the second floor. The landlord was represented in-house by Sam Polese, Albert Dayan and Alexandra Frangos, while David Baker of Isaacs and Company represented Ralph & Russo. UPDATED, Aug. 3, 2:35 p.m.: The breakup of Linda and Harry Macklowe after 58 years of marriage became quick tabloid fodder. With a vast real estate empire and a billion-dollar art collection to divide, one of the more salacious details to emerge from their split was that Harry’s then-girlfriend (and now fiancée) was living at 737 Park Avenue — his condo conversion several years in the making that’s only now nearing the finish line. Whether the love nest could have been tucked away in the building had units sold faster, however, is still up for debate. But the project isn’t the only one that’s taking a long, maze-like path to completion. Three years after the condo boom swept through New York, developers citywide are sitting on unsold units. And their timing seems to be far more precarious than Macklowe’s was. Since 737 Park opened in 2013, developers have poured thousands of new Manhattan condo units onto the market. In 2017’s second quarter, condo inventory in the borough stood at around 5,900 — up 35 percent year over year, according to Halstead Property Development Marketing (HPDM). And prices for new condos are significantly down amid a slowdown in luxury sales. For developers who already have skin in the game, the numbers are alarming, particularly since many penciled out their projects several years ago, when the market was on a (seemingly) unstoppable upswing. To be sure, the sector is not in the dire state it was during the last recession, when buyers attempted to back out of contracts en masse and developers citywide resorted to converting full condo buildings to rentals. But lawyers, brokers and developers who talked to The Real Deal all acknowledged that there is cause for real concern. While there are no public numbers quantifying the outstanding (and soon-to-be-due) debt on New York condo projects, it’s undoubtedly in the billions. Nikki Field of Sotheby’s International Realty said the pressure from lenders has ramped up in the past 18 months as the market has struggled to absorb a glut of new units. And it’s not just banks turning up the heat. The private equity funds that ramped up lending when traditional banks pulled back are also under the gun, because their funds have strict timelines that cannot be extended. “Remember that a lot of this equity is high-octane equity — they have to give them back the money with a return,” added one developer. That unease has prompted some developers to turn to a variety of strategies to curtail financial damage and salvage profits, including cutting prices, dangling concessions, selling blocks of unsold units and seeking inventory loans, which use sponsor apartments as collateral. The financial conundrum, sources say, is most acute at condos that hit the market several years ago and are now 50 percent sold or more — with closings already underway and owners moving in. That’s the point at which developers start shouldering carrying costs for the unsold units in addition to paying back their lenders. “The real impact of the slowdown in sales … is that it may require capital infusions,” said marketing consultant Nancy Packes. While it’s difficult to know how many projects are caught in that quagmire, sources say the numbers are rising. And the monetary burden is heavier on the high end — both because the cost of running those buildings is higher (think rooftop pools and high-end fitness centers that need staffing) and because they often take longer to sell. “If you’re an ultrahigh-net-worth individual and own five homes, you don’t need another,” Packes said. Behind closed doors, this new reality has led to something of a standoff between developers and their lenders — who may have competing interests. On the one side are lenders, whose top priority is getting paid back (with interest) on time. On the other side are developers who often want to hold out for higher prices to maximize profits. David Blatt, CEO of investment banking firm CapStack Partners, said both sides are more anxious than they were a year ago. Most of the new condos that developers are trying to unload today were conceived in a starkly different market when buyers were first jumping back into the real estate game. To meet that renewed interest, developers were scrambling to get condos out of the ground. But some are now questioning whether that development blitz went too far. In 2015, roughly 6,500 new condos were unleashed in Manhattan — nearly triple the 2,500 units launched the year before. As of last count this year, there were nearly 6,000 units on the market. Developers are already seeing a slowdown in deal volume — new-development contracts dropped 23 percent during the second quarter, according to HPDM. “Every developer is worried,” said one sponsor who asked to remain anonymous to avoid inciting further concern in the market. “A developer has to sell — the entire project hinges upon one thing: selling and hitting the numbers,” added the sponsor. Broker Dolly Lenz said some buyers who signed contracts before the market turned are now trying to renegotiate. “We’re seeing some buyers … bringing in big guns like law firms and asking [brokers] to do all types of market data analysis, and they are getting a discount,” she told a room full of residential brokers at TRD’s annual Showcase & Forum in May. According to appraiser Jonathan Miller, some buyers who signed contracts in 2014 or 2015 are now sitting on units that are worth 20 to 25 percent less on average than the prices they agreed to pay. For those developers trying to avoid prices cuts so that they can maintain comps at their buildings, a host of other concessions are in play to ensure that buyers make it to the closing table. The tug-of-war over prices and concessions can be traced directly back to how much developers and their backers have spent on these projects to begin with. Many developers bought land at the top of the market around 2015 — when prices for developable dirt in Manhattan hit a record $1,200 per square foot. Although they made those purchases — and obtained loans — under the assumption that they’d be able to sell condos for premium prices, that reality has been turned on its head. “Many find that even after they sell out completed buildings, they’re not going to make money — or could lose money — because the construction costs were higher, debt costs have gone up, and sales prices have corrected 22 percent,” said Andrew Heiberger, the CEO of Town Residential. Between 2013 and 2015, construction costs did indeed jump by 5 percent, and last year those expenses increased by another 4 percent, according to the New York Building Congress. A first line of defense for many developers is to shake up their marketing teams. That’s what Forest City New York and Greenland USA did just last month at their 278-unit Brooklyn condo 550 Vanderbilt, where sales started strong but slowed to a trickle last year. Two years after launching, the project is about 65 percent sold. 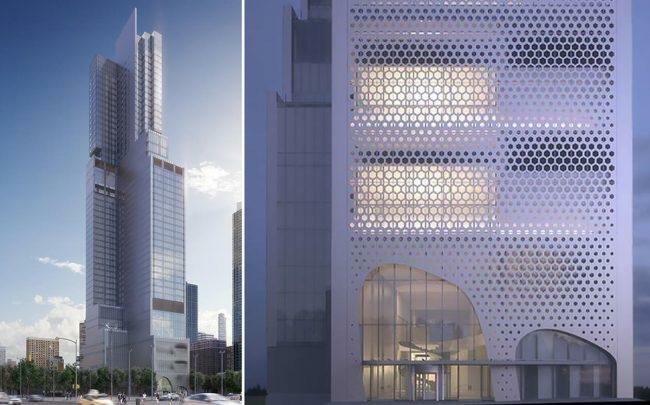 Still, the developers have refused to cut prices at the tower because they’ve counting on the building to establish a high price bar for other buildings at their Pacific Park megaproject. “We’ve made a deliberate decision to hold at a certain point, because it’s going to set the market — not just for the building — but the neighborhood we’re invested in,” said MaryAnne Gilmartin, president and CEO of Forest City’s New York office. That could come as welcome news to 550 Vanderbilt’s early buyers. Generally speaking, those who’ve snapped up units early can get jittery if the rest of the apartments in a building don’t move fast, fearing that the sponsor will cut prices or start renting out units, making it tougher to refinance and sell. 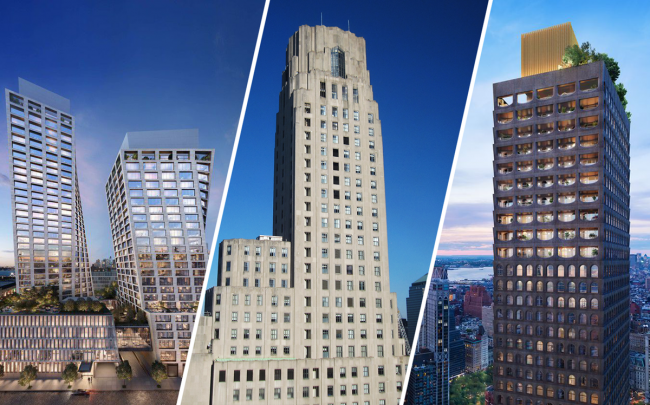 Buyers at 100 Barclay Street — Magnum Real Estate and CIM Group’s 157-unit condo that launched in 2015 — have been anxious to see the building sold out, brokers said. The developers were not available for comment, but so far 89 units have closed, according to public records. “I had many of them calling saying, ‘Now what?’” said Corcoran Group’s Vickey Barron, who marketed the building when she was at Douglas Elliman and has also represented buyers there. Barron said she told them not to worry. She also explained that the toughest time to sell a building is midconstruction. Mitigating risk or eating profits? For lenders, a building that gets stuck at the half-sold mark raises major red flags. While banks typically don’t want to get paid back too quickly — interest payments drive earnings, after all — they also don’t want developers to exercise their option to extend loans (which generally run between two and seven years) to, say, 10 years. While developers can typically repay their loans once the project is half sold, most lenders collect a portion of the proceeds from each individual sale. “Certainly lenders are running the analysis of how many units need to be sold and closed to be repaid in full,” said CapStack’s Blatt. Some lenders have become more aggressive in the last few months about pushing developers to make compromises. “The lender can cross their arms and say, ‘Go sell it for a lower price,’” said Robert Dankner, co-founder of Prime Manhattan Residential, who has worked on a number of new development deals. But because dropping prices ultimately cuts into sponsors’ profits there’s often pushback on that. Generally, sources say, sponsors aim to be 40 percent sold by the time closings start. Put another way: A developer who discounts prices by 20 percent will be able to pay back the debt, but there isn’t enough money for the developer to hit their promote — their share of profits. As a result, some developers have reason to wait for the market to improve. “While the developer is banking on absorption picking up, the expense of the deal is reducing the overall profitability, which is typically in the last 30 percent of sales,” said Robin Schneiderman, HPDM’s director of new business development. Specific terms of the deal and the developer’s cost basis, of course, dictate the course of action. To contend with slow sales at 252 East 57th Street, which launched sales in 2014, World Wide Group and Rose Associates opted to cut asking prices and began offering higher-than-average commissions to buyers’ brokers. In addition, this year, Gary Barnett’s Extell Development shaved 10 percent off asking prices at five of the remaining eight apartments at the 68-unit Carlton House, a condop on East 61 Street. The developer did the same for unsold units last year at the 219-unit One Riverside Park, which launched in 2013. 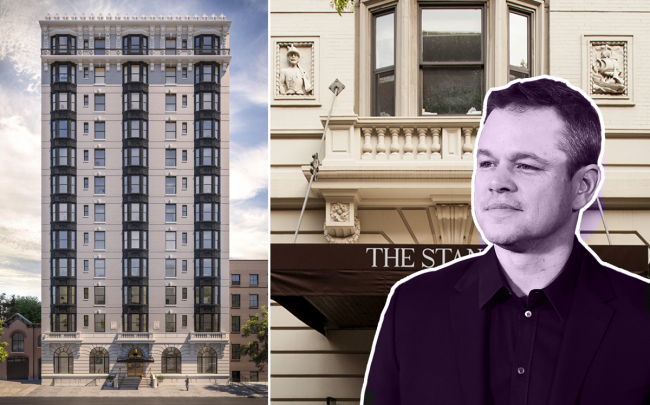 Meanwhile, in January, developer Ziel Feldman’s HFZ Capital Group and his private equity partner, the Carlyle Group, came to an unusual agreement at 505 West 19th Street, where four sponsor units were lingering on the market. When Feldman resisted cutting prices, Carlyle paid HFZ $44.1 million for the condos and then relisted them for sale. It’s since sold one of the units for $14.7 million, a $700,000 discount from its most recent price and about 23 percent less than its original 2014 asking price of $19 million. Other investors are assessing their options as anxiety spreads. At a May meeting of about 40 Israeli bondholders who have bankrolled projects like One57 and One Manhattan Square, some expressed concern about Extell’s ability to repay its debt, sources told TRD. The bondholders were pushing to force Extell to immediately pay them back — even though the first $180 million payment isn’t due until December 2018. The building, which has only unloaded four of its remaining 47 sponsor units so far this year, has already seen two owners fall into foreclosure. That kind of distress is never good for values in the building or the surrounding market. Just down the block on Billionaires’ Row at 111 West 57th Street, developers Michael Stern and Kevin Maloney are battling one of their own investors, Ambase Corporation, which alleges that project is facing a $100 million shortfall. JDS Development Group and Property Markets Group announced in March 2016 that they were delaying sales to better time the market. The developers have denied a shortfall, blamed Ambase for holding their refinancing hostage and said they’re relaunching sales this fall. Developers with half-sold buildings know they must move fast. In addition to paying interest on the construction loan, common charges for unsold units can set a developer back $2 to $4 per square foot. And those fees can add up. At One Riverside Park, the monthly carrying cost for a six-bedroom penthouse currently listed for $16.5 million is $6,910 — or $82,920 a year. At 252 East 57th Street, World Wide Group and Rose budgeted $11.8 million to cover the building’s first year of operation, according to an offering plan filed with the state attorney general’s office. That sum included an estimated $360,000 to maintain the fitness center and pool, $116,000 for security and $1.5 million to pay the building’s 26 staffers, including lobby and elevator attendants, porters, handymen and a resident manager. Over the past 18 months, an increasing number of developers have gotten more aggressive. 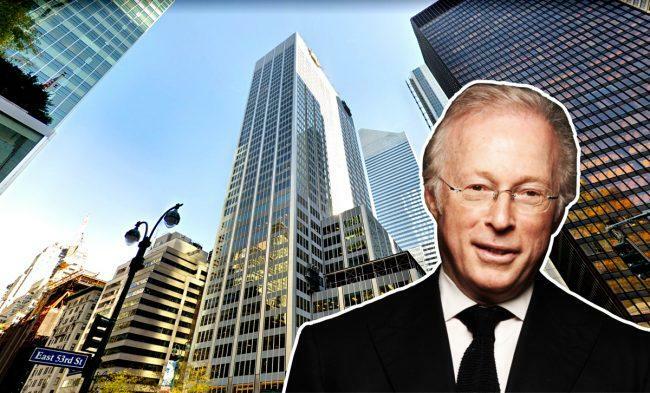 In an effort to reduce his debt at Madison Square Park Tower, his 82-unit condo at 45 East 22nd Street, developer Bruce Eichner considered a $125 million inventory loan to help repay $340 million in construction financing from Goldman Sachs, according to news reports. But he managed to jump-start sales at the building — which hit the market in 2014 and has recently been stalled at around 75 percent sold — and avoid that lifeline. Although Eichner avoided an inventory loan, Macklowe and others have gone down that road. Macklowe landed a $52.8 million inventory loan in April 2016 from First Republic Bank for the commercial unit and 11 unsold condos at 737 Park. The project had closed about 88 percent of its units as of last month, and a representative for the developers said only two units are left to sell. Unlike during the last recession, when developers triggered their Plan B — converting condo buildings to rentals — this time around most developers have a cost basis that’s too high to do that. Compounding matters is that even the priciest rentals and condos are vastly different, said Town’s Heiberger. “The problem with underwriting as a rental is that the unit mix has to be different,” he said. In addition, there’s softness in the rental market — as Extell discovered at One57. The developer attempted to rent 38 lower-floor units but shifted gears when that didn’t work. It then shopped them as a bulk condo offering for $250 million before reimagining them as “midmarket” units in April 2016, starting at $3.5 million. Bulk offerings are, however, making their way into the market, too. 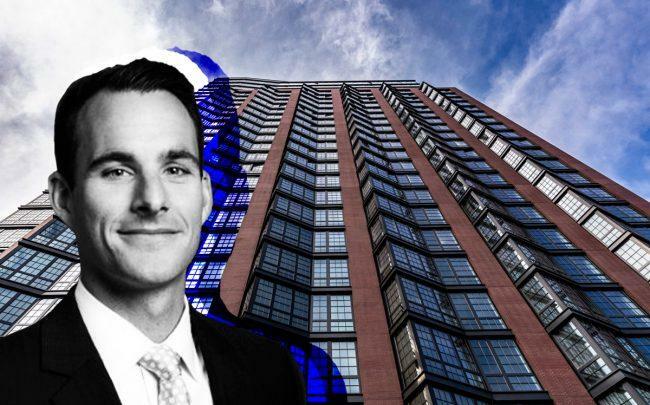 Last year, under orders from their lender, Cheshire Group and Sterling American Property sold a block of 33 rent-regulated units at their Devonshire House condo conversion in Greenwich Village to Aby Rosen’s RFR Realty for $32 million. The developers had already converted 70 of the building’s 131 units, and they planned to wait out the market and then convert the rest. But the lender pressed the shot-clock buzzer. Not every developer is racing the clock. Those with a low basis may be able to ride out the current market, especially if it means capturing higher prices during the next upswing. Zeckendorf Development — whose 50 United Nations Plaza is not sold out after four years — is said to underwrite projects in such a way that they’re not penalized if a building takes longer to sell. A spokesperson for 50 United Nations Plaza told TRD that over 70 percent of the apartments are sold and that the building is debt-free. In addition, while developers aren’t converting projects to rentals wholesale, some are leasing unsold units while they wait out the current market. 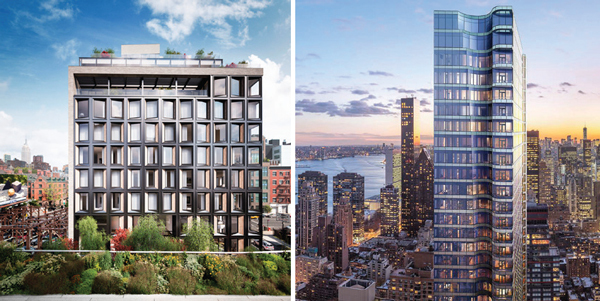 Unable to sell three penthouses at the Flynn, a 30-unit condo in Chelsea, developer IGI-USA listed the units as rentals this spring with asking prices ranging from $28,000 to $33,000 a month. Meanwhile, Kushner Companies found a renter this year who was willing to pay $70,000 a month for one of the six penthouses at the top of the Puck Building. “If you have deep pockets, you can do that,” said Compass President Leonard Steinberg. In some cases, lenders also see the virtue of waiting. The investors backing 160 Leroy and 111 Murray are also holding out. Both buildings have a handful of units remaining, including some penthouses. There’s very little benefit for them to rush sales, said Elliman’s Michael Graves. “They’re basically saying, ‘We can’t deliver for two and a half to three years. Why are we rushing sales now when we can get bigger and higher prices down the line?’” he said. And the softness in today’s market isn’t scaring all lenders off. Some are already betting on New York’s next economic cycle. Sources speculated that JPMorgan Chase is doing that with the $900 million construction loan it has agreed to give to Extell for the developer’s Central Park Tower project, which will have 20 units priced at $60 million or more. Until then, nobody is “giving away the store,” said Prime Manhattan’s Dankner. Correction: An earlier version of this story stated JPMorgan Chase provided a $950 million loan to Extell. The bank has agreed to provide a $900 million loan. Contact Derek Smith at ds@therealdeal.com with any questions regarding TRData. Related Companies fund-management arm closed on the purchase of Unizo Holding’s office building in Hell’s Kitchen for $153 million – a discount of $12 million to what the Japanese investor paid for the property three years ago. Related paid $152.5 million to buy the 10-story office building at 321 West 44th Street, property records filed with the city Thursday show. The purchase price works out to about $688 per square foot for the roughly 220,000-square-foot building west of Times Square between Eighth and Ninth avenues. “The area is seeing great momentum and we will be further investing in the building to capitalize on what is sure to be an ideal location for smaller tenants,” a spokesperson for Related told The Real Deal. A representative for Unizo could not be reached. Canadian Imperial Bank of Commerce provided Related with a $102.7 million acquisition loan, property records show. 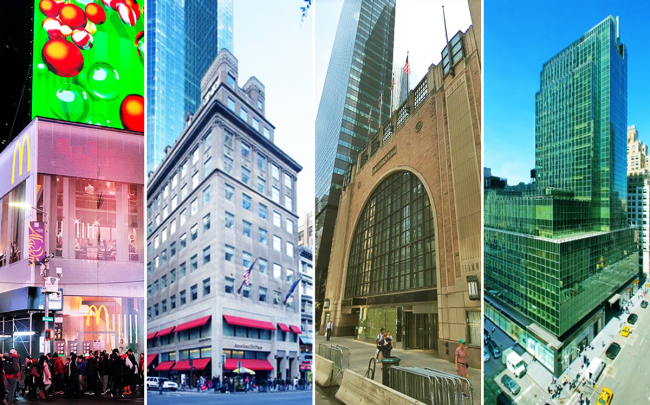 Unizo, formerly known as Jowa Holdings, hit the Manhattan scene in 2013 and quickly snapped up a handful of properties, paying more than $622 million to buy three office buildings. But the company this year started selling off those investments, some at a loss. Earlier this month, Unizo closed on the sale of the 27-story Midtown office building at 370 Lexington Avenue to Broad Street Development for about $190 million, or roughly $57 million less than it paid when it bought the building in 2015 for $247 million. Crain’s first reported in October that Related was vying with East End Capital to buy 315 West 44th Street. East End, which sold the building to Unizo in 2013, had a right of first refusal that allowed it to match Related’s offer. Cushman & Wakefield’s Doug Harmon and Adam Spies negotiated both of those sales for Unizo. The seller had better luck with the building at 440 Ninth Avenue – the first property it bought in the city – when it paid $211.5 million in 2013. The investor earlier this month sold the property to TH Real Estate and Taconic Investment Partners for $269 million. CBRE’s Darcy Stacom and Bill Shanahan negotiated the sale for Unizo. Elsewhere, Related Fund Management just picked up a 92,000-square-foot office building in Los Angeles for $72 million. Trying to keep up with the latest projects underway in New York City? Check out The Real Deal’s new interactive map, where you can track more than 16,000 buildings in various stages of development across the five boroughs. This critical resource is for subscribers only, so if you haven’t joined us yet, sign up now. The map is updated daily by TRD’s data team and shows projects in every phase of development, from the moment plans are filed to when move-ins get the green light. Check out the video above to see how it works for residential properties like 125 Greenwich. To access TRD’s map, become a subscriber today! 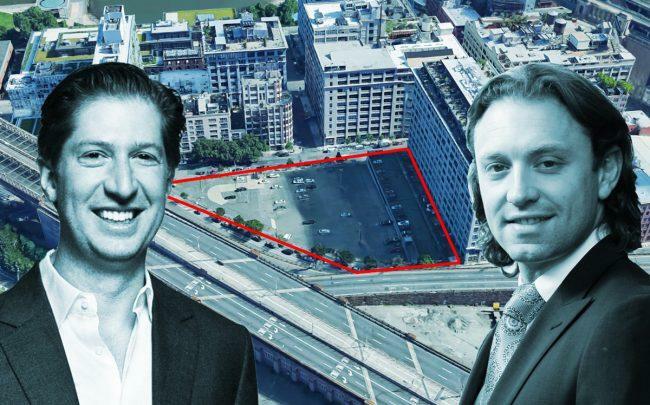 Joseph Brunner and Abe Mandel’s Bruman Realty secured about $102.5 million in financing from Bank Leumi for its new 286-unit residential project in Downtown Brooklyn. The financing includes an approximately $69.2 million building loan and a roughly $3.3 million project loan, according to new filings with New York City’s Department of Finance. Bruman Realty also refinanced a $30 million acquisition loan. Plans were filed earlier this year to turn a parking lot at 260 Gold Street, between Tillary and Concord streets, into a 13-story, 286-unit apartment building. The project’s size is expected to total 191,000 square feet. Solomon Feder of Velocity Framers filed the permit to construct the new building, and is a partner in the development. Feder and Bank Leumi did not immediately return requests for comment. Bruman Realty declined to comment. Bruman Realty acquired the site for $60 million from STA Parking Corp. The project will join many new residential developments in Downtown Brooklyn, a few of which are now being marketed for sale. 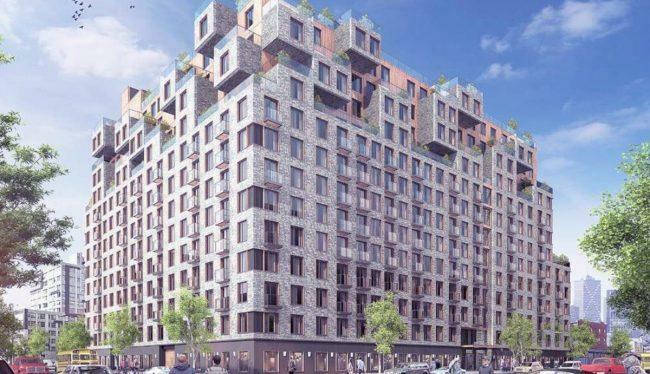 Nearby, Pink Stone Capital’s 180-unit new rental development at 180 Nassau Street hit the market earlier this month, and CBZ Management is seeking $100 million for its 110-unit building at 237 Duffield Street. Millennium Management is moving its New York headquarters from 666 Fifth Avenue to 399 Park Avenue. The firm will lease 300,000 square feet across four floors of Boston Properties’ 41-story tower, located between East 53rd and East 54th Streets, landlord announced in a press release. Average asking rents in the Boston Properties-owned building are between $73 and $90 per square foot. Millennium, the hedge fund for billionaire Israel Englander, had reportedly been looking to leave 666 Fifth Avenue for months because of the uncertainty surrounding the building. The property was a famed holding of Kushner Companies for months, but Brookfield Asset Management took it over in August. The New York Post first reported this summer that Millennium was in talks at 399 Park.Millennium plans to move into the Park Avenue tower in 2020. CBRE represented the landlord in the deal, according to Commercial Observer. Private equity firm Trilantic Capital Partners was in talks earlier this year to take the entire top floor of 399 Park. The Bethpage-based company bought the 161,000-square-foot warehouse at 333 Johnson Avenue from Normandy Real Estate Partners, Princeton Holdings and Royalton Capital, sources told The Real Deal. Steel Equities, owned by Joseph and Glenn Lostritto will be looking for a new tenant for the property, which is vacant. Normandy and its partners in late 2017 signed a 100,000-square-foot lease for the United States Postal Service, which used it to make last-mile deliveries through the holiday season. Representatives for Steel Equities and the sellers could not be immediately reached for comment. Pinnacle Realty’s David Junik and Decio Baio represented both sides in the transaction. The brokers declined to comment. Normandy and its partners bought the property for $26.8 million in 2015, with plans to convert it into office space. Brooklyn’s office market, however, started to cool off. And the impending L Train shutdown hasn’t helped matters. Normandy and its investment partners had put the property up for sale in 2016 with an asking price of $60 million. In the meantime, logistics and warehouse space has come in high demand from companies looking to make deliveries for online purchases. UPS just paid $303 million to buy the huge Red Hook site where last year it signed a ground lease. Steel Equities, meanwhile, continues its push into the logistics space. In Bethpage, the company wants to spend $51 million to build a warehouse for FedEx. In the world of mid-market New York City investment sales last week, Wharton Properties sold a commercial building in Flushing for $13.5 million along with another in Maspeth for about $10.4 million, according to records filed last week with the New York City Department of Finance. 1) Wharton Properties sold a one-story, 3,125-square-foot commercial property at 136-16 Roosevelt Avenue in Queens for $13.5 million. An entity called Great World Realty LLC, which lists Lian Wu Shao as its managing member, bought the Flushing property. Preferred Bank provided two mortgages for the purchase totaling $9.5 million. 2) Wharton Properties sold another Queens commercial property, 65-63 Grand Avenue. The Bram Auto Group, a network of car dealerships, picked up the site for about $10.4 million. 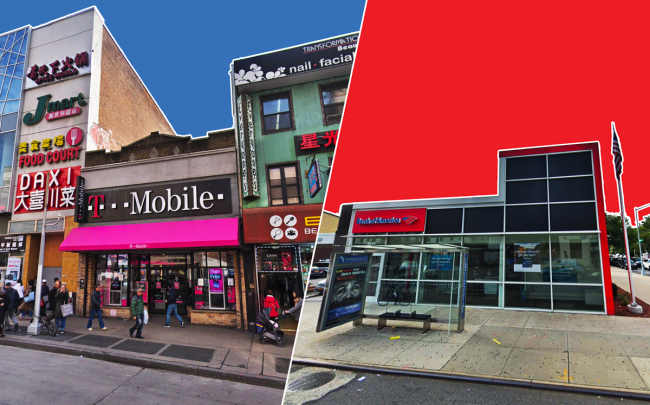 The one-story building is Maspeth currently houses a Bank of America retail location. 3) Prana Investments sold a six-story apartment building at 2304 Sedgwick Avenue in the Bronx for about $14.9 million. The buyer was Desai Real Estate Group LLC, which lists Dinesh Desai as member. Elsewhere in the borough, Prana recently acquired a portfolio of eight multifamily buildings for $65 million from the Morgan Group. 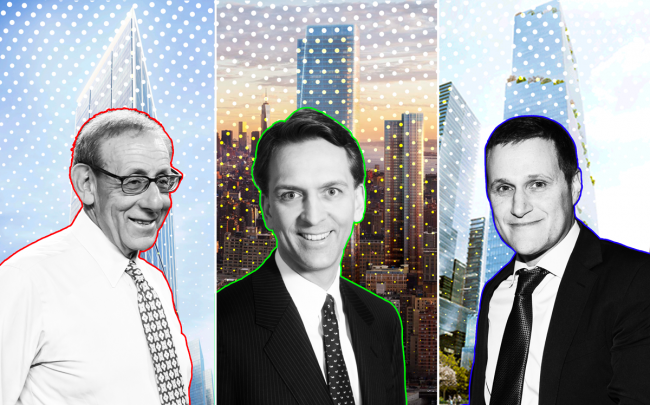 Who are NYC’s most active developers? The companies behind two mega-developments on Manhattan’s far West Side are the city’s busiest developers — and will likely remain so for the next few years. Related Companies and Brookfield Property Partners are the top two most active developers in the city in terms of the scale of their ongoing projects. Related and Brookfield are respectively being kept busy by their massive mixed-use projects, Hudson Yards and Manhattan West. The Real Deal compiled a list of the city’s busiest developers of new construction, based on building permits issued by the Department of Buildings. Only projects with active permits that have not yet been issued a temporary certificate of occupancy (TCO) as of Dec.19 were included. Alterations were not included in developers’ total square footages or project counts. Here are the top 10 most active developers by square footage, as represented in DOB filings. Related’s largest ongoing project is 415 10th Avenue, better known as 50 Hudson Yards. The 2.2 million-square-foot office tower has been the target of multiple protests over the past year, due to the developer’s decision to use both union and nonunion construction labor on the project. Related’s second-largest ongoing project is another office tower at 550 West 34th Street, better known as 55 Hudson Yards. Brookfield’s largest ongoing project is One Manhattan West, a 2 million-square–foot-plus office tower on Ninth Avenue. The building is one of six planned in Brookfield’s Manhattan West megadevelopment, adjacent to Related’s Hudson Yards. The developer’s second-largest ongoing project is Two Manhattan West, a 1.7 million square foot office tower next door. Tishman has two massive office towers under construction: the Spiral at 66 Hudson Boulevard in Hudson Yards and the JACX at 28-10 Jackson Avenue in Long Island City. The former, which is designed by the Bjarke Ingels Group, is the developer’s biggest ongoing project at 2.2 million square feet. The tower, named for its shape, is anchored by pharmaceutical giant Pfizer. In the days leading up to Amazon announcing the location of its new headquarters, some had speculated that the JACX was in the running to house the tech giant. Tishman’s Rob Speyer, however, noted after the announcement that the 1.7 million-square-foot tower was already 75 percent leased. Hudson Companies has developments spread throughout the Bronx, Brooklyn and Manhattan. The biggest of its projects is a 330,000-plus-square-foot apartment building at 600 Bergen Avenue in the Longwood section of the Bronx. The company is also co-developing a 21-story, nearly 240,000-square-foot residential building on Roosevelt Island with Related. The building, at 460 Main Street, is the eighth building in the Riverwalk rental complex, which will eventually feature nine buildings. Gary Barnett has some ambitious projects up his sleeve. His firm’s Central Park Tower will rise more than 1,000 feet tall and span more than 866,000 square feet. The luxury condominium tower on Billionaires’ Row has a projected sellout of $4 billion. The 179 condominiums will range in size from 1,435 square feet to 17,500 square feet. The developer’s second-largest active project is Brooklyn Point, a 68-story condo building in Downtown Brooklyn, which is expected to be more than 680,000 square feet. Elsewhere, Extell has a couple of smaller residential projects in Manhattan. Boston-based GID’s ongoing projects in New York City are all part of the company’s Waterline Square development on the Upper West Side. Of the three condo towers, Two Waterline Square at 400 West 61st Street will be the largest with 880,994 square feet. The developer is aiming for a $1.15 billion sellout for the complex’s 263 condo units. All of United’s active projects are in Queens. The developer’s biggest is a condo project at 23-15 44th Drive in Long Island City, which is expected to span 780,677 square feet. The 802-unit tower has $1 billion projected sellout, which is reportedly a record for the borough. In July, the Chris Jiashu Xu-led company scored a $502 million construction loan for the project. In October 2016, SL Green broke ground on One Vanderbilt, its 1,400-plus-foot tall office tower next to Grand Central Terminal. At last check, the building — marketed as 1.7 million square feet but has 1.3 million square feet in rentable space (which is the figure used for this ranking) — was 52 percent pre-leased. Its tenants include TD Bank, the bank’s investment-banking arm, MFA Financial and McDermot Will & Emery. The real estate investment trust’s other active project is a 35-story apartment building at 185 Broadway in the Financial District. F&T Group’s only active project is Two Fulton Square, a 1.4-million-square-foot mixed-use development in Willets Point, Queens. The largest of the four buildings — 133-36 37th Avenue — is a two-tower complex that is expected to span 681,218 square feet. The developer plans to include more than 200 condo units and more than 200 hotel rooms, as well as office space, in that complex. Two Trees Development is also just focused on one active project at the moment: the redevelopment of the Domino Sugar refinery. The largest of the buildings in the 11-acre complex in Williamsburg is 280 Kent Avenue, a nearly 786,000-square-foot office and apartment building. The developer has three separate job filings for the project. TF Cornerstone is working on two residential towers on Center Boulevard as part of its Hunters Point South complex. The larger of the two at 52-03 Center Boulevard is just over 775,000 square feet and is expected to have 800 affordable housing units. The smaller tower will be nearly 384,000 square feet and have roughly 400 apartments. The developer’s third project is a new building at 38-21 12th Street in Long Island City for the city Department of Transportation, which is relocating to make way for Amazon’s new headquarters. TF Cornerstone is also developing a portion of the company’s new headquarter, though plans have not yet been filed. Correction: Due to an issue in a data pull, the original ranking did not include GID. The company’s projects have since been added, putting the developer in the No. 6 spot. Developer Billy Macklowe and his wife, Julie, are expanding their digs at 1001 Fifth Avenue. The Macklowes just dropped $4.5 million for a 19th floor unit at the tony co-op building where they’ve lived since 2004, according to documents filed with the city. Records show the seller was Brazilian banker Aloysio de Andrade Faria. The three-bedroom was listed for $4.75 million with listing agents Harry Nasser and Olivia Hoge of Sotheby’s International Realty. The Macklowes owned several units on the 20th and 21st floors at 1001 Fifth, located at East 82nd Street across from the Metropolitan Museum of Art. They purchased their original apartment (a combo unit on the 20th floor) for $6.8 million, records show. In 2014, they spent $5.3 million for a unit one floor down. The couple, who declined to comment, also owns a home in Sagaponack. Billy Macklowe is the founder and CEO of William Macklowe Company, which he started in June 2010 after splitting from his father Harry’s firm, Macklowe Properties. 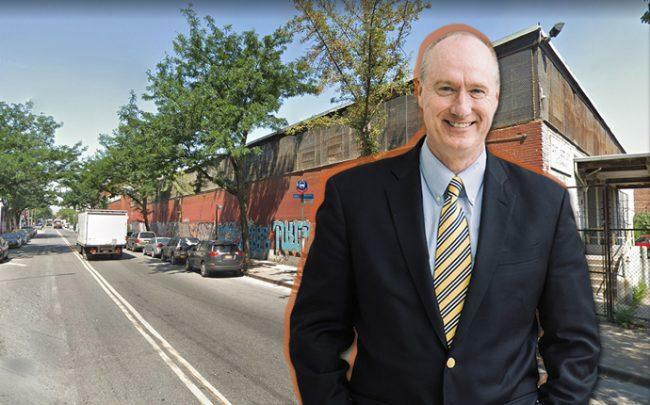 The younger Macklowe’s portfolio now includes 156 William Street and 21 East 12th Street, the former Bowlmor Lanes site he converted to condos. Earlier this month, Macklowe and Principal Real Estate Investors inked a contract to sell 311 West 43rd Street to a California real estate investment firm for $130 million. They purchased the 186,000-square-foot Midtown tower for $107 million in 2015. Fortis Property Group has secured financing for its planned 26-story condo building in Dumbo, according to city records filed on Wednesday. The $92 million loan was provided by Madison Realty Capital, and consists of a $66 million mortgage as well as a $15 million building loan and $10 million project loan. Fortis closed on its acquisition of the development site at 30 Front Street last week. The site had previously served as a parking lot for the Jehovah’s Witnesses’ Brooklyn headquarters, and was the last remaining property to be sold by the religious group as part of its move upstate. Fortis’ development on the site will consist of 74 residential units across 178,00 square feet of residential space, in addition to 72,000 square feet of community space. The building’s amenities will include a gym, sauna, spa, yoga room and swimming pool. Fortis is also planning a mixed-use project at 350 Hicks Street in Cobble Hill, and is facing a lawsuit from ICS Builders over the conversion of the Long Island College Hospital at 350 Henry Street. Neither Fortis nor Madison immediately responded to requests for comment. Clockwise from top left: A sleek bayfront home in East Hampton lists for $7.65 million; a Southampton village home built in 1895 sells for $10.6 million; a waterfront home in Southampton has its price cut to $6.5 million; and a Bridgehampton’s Three Ponds Farm compound relists for $49 million. It hasn’t been an easy year for Manhattan’s condo market — but there are still some notable (and high-priced) projects in the pipeline. The priciest condo filing accepted this year was for HFZ Capital Group’s massive project dubbed the Eleventh. HFZ head Ziel Feldman said he’s aiming for units to be priced between $3,800 and $4,000 per square foot — a higher price point than the area has previously reached. The high-profile 1 Wall Street project, by Macklowe Properties, was No. 2 on the list. The developer, aiming for $1.69 billion, targeted Asian buyers with a roadshow in the region spanning Hong Kong to Beijing. Other projects that made the list included Lightstone Group’s 130 William Street, Toll Brothers’ 77 Charlton Street and Solow Properties 685 First Avenue. Here is the full list of the most valuable condo offering plans accepted by the New York State Attorney General’s office in 2018. HFZ’s Chelsea megaproject, dubbed the Eleventh, said asking prices will range from $4 million to $8 million. 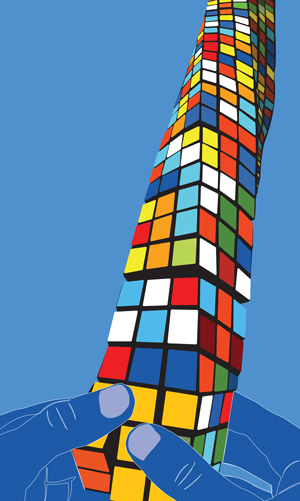 The block-long project will have two asymmetrical towers connected by a skybridge. The 950,000-square-foot development will have 236 units and 90,000 square feet of retail. HFZ chief Ziel Feldman has said he wants to attain between $3,800 and $4,000 per square foot in sales, which would be unprecedented in the area. According to the condo’s offering plan, units will average 1,928 square feet. The top penthouse will measure 7,000 square feet. In partnership with Qatari billionaire and former Qatari emir Hamad Bin Khalifa al-Thani (HBK), the developer is planning 566 condos with retail at the base. (Former prime minister Sheikh Hamad Bin Jassim Bin Jaber al-Thani, or HBJ, was previously a partner on the project before transferring his stake to HBK.) Executives from Macklowe Properties and CORE’s Shaun Osher went on a road show in 2018, through Hong Kong, Shanghai, Beijing and Shenzen. Harry Macklowe has said that he’s aiming for between $2,000 and $2,500 a square foot on the lower floors. The Lightstone Group ditched initial plans to build a hotel at 130 William Street, opting instead to turn the entire building into condominiums. Plans call for 244 units. The company bought the existing 12-story building on the site from Triangle Assets for $60 million in 2014 with plans to demolish it. The 803-foot-tall tower, dubbed the Centrale, topped out construction in November. Plans call for 124 units, penciling out to a cost of roughly $4.3 million per unit on average. Ceruzzi originally planned to build a 500-foot-tall hotel at the site, but changed its strategy in 2015. The company got a $300 million construction loan from Madison Realty Capital in August 2017. Though one of the priciest projects brought to market this year, the expense falls short of Ceruzzi’s other major condo project, 520 Fifth Avenue, where construction costs are expected to exceed $500 million. Prices at the condo project start at $1.495 million for a one-bedroom with 760 square feet, according to the offering plan. In addition to 148 residential condo units — the priciest of which is $10.4 million — the development also includes 408 rental apartments. Architect Richard Meier was embroiled in a sexual harassment scandal, putting a damper on the project, but sales launched this year. Icon, led by Terrence Lowenberg and Todd Cohen, filed plans for a 208,500-square-foot tower in 2016. The developer is planning a 30-story, 72-unit tower at 301 East 80th Street and a 19-story, 32-unit building a block north at 301 East 81st Street. The project will also hold nearly 9,000 square feet of commercial space at the base. Icon began piecing together the assemblage in 2007 and bought six low-rise tenement buildings on the site at 1538-1564 Second Avenue for a combined $44.9 million by 2012. The developer is planning 110 condo units at the 49-story tower. Designed by COOKFOX Architects, the project will overlook City Hall Park. L&M and the founders of the iconic J&R Music store landed $235 million in construction financing from Bank of the Ozarks. The project will also include about 67,000 square feet of retail space. Dubbed the Vandewater, the Morningside Heights project will have 183 units. Savanna bought the land for the project in 2016 from the Jewish Theological Seminary, paying $96 million. The building was designed by Incorporated Architecture and Design with SLCE Architects on board as the executive architect. Residents will have access to 24,000 square feet of amenities, including private gardens and outdoor dining. The Hudson Square project will have two connected 15-story buildings — with more than 208,000 square feet of residential space. Plans call for 161 units, with an average price per unit of just over $2 million. That price point is in line with the developer’s turn toward more lower-end luxury products. The building is among several other projects cropping up on Charlton Street, part of a new residential evolution in the neighborhood. Homes are priced lower than nearby neighborhoods like Soho and Tribeca. This Upper East Side condo project will have 29 units. Designed by Gerner Kronick & Valcarel Architects and Deborah Berke Partners, the building has a charcoal brick facade and private secondary entrance. Lightstone locked down an $85.3 million construction loan for the project last year. It paid $32.5 million for the six-story residential rental building at East End Avenue in Yorkville in 2015. Another piece of the development of Greenpoint Landing is coming into focus. Brookfield Property Partners pre-filed an application with New York City’s Department of Buildings to construct a 31-story, approximately 380,000-square-foot residential tower at One Bell Slip, across from the developer’s One Blue Slip rental property. The new building will house 408 units, according to the filing. Amenities include a fitness center and pool. The new tower is one of two additional rental towers Brookfield announced earlier this year it will build at the 22-acre site along the Brooklyn waterfront, which it is developing with Park Tower Group. Over the summer, Brookfield bought into the two development sites – one on Commercial Street and the other on West and Eagle Streets – valuing them at $148 million. Brookfield did not immediately respond to a request for comment. Park Tower Group declined to comment. Brookfield originally joined the Greenpoint Landing, which is being designed by Handel Architects, in 2015. When completed, the Greenpoint Landing megadevelopment will have up to 5,500 residential units, with 1,400 of those affordable, plus a waterfront park, retail space and a school. One Blue Slip, a 30-story tower with 359 market-rate residential units, opened over the summer and is now leasing. Elsewhere, Brookfield is developing 1,300 rental units in the South Bronx, where in September it paid $165 million to buy a large development site from Somerset Partners and the Chetrit Group. Update: This article was updated with Park Tower Group’s response. The nationwide housing market cooled in the second half of this year, and that trend is expected to continue in 2019. Housing inventory will rise and price growth will continue to pull back, according to the latest report from Redfin. 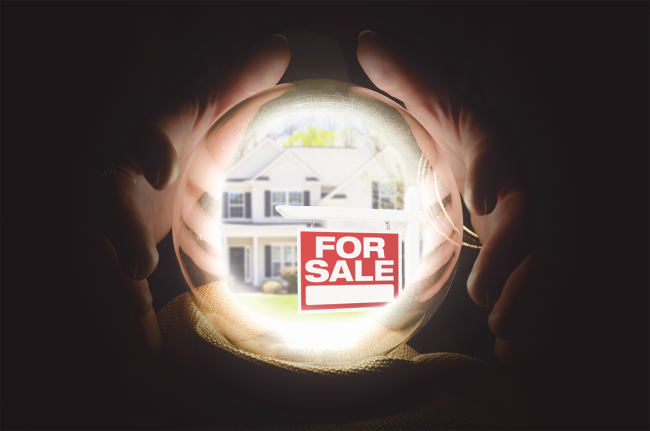 Analysts at the home-buying platform predict price growth will settle around 3 percent in the first half of the new year. But analysts added that there was a “real chance” prices could fall below 2018 levels, into negative growth. That would be a first since 2011. Home price growth has slowed in 2018 year after years of acceleration that pushed prices to record highs in many parts of the country, including Southern California. While growth will continue in some secondary markets around the country, according to Redfin, primary markets that saw strong growth in the first half of this year will see the most significant slowdown. Those include West Coast markets like Los Angeles, San Francisco and Seattle. Rising mortgage prices are prompting some potential home buyers to hold off on a major purchase. Redfin predicts that some sellers will have to lower prices to move properties. Home ownership rates should also rise as speculators and house-flippers back away from the market, creating more room for consumers. Home-flipping is down to its lowest level in more than three years, according to a recent survey. The nationwide supply of homes is 5 percent higher going into the new year than it was approaching 2018. Homebuilders — whose confidence in the market is at a two-year low — will focus on starter homes as well, according to Redfin. Higher interest rates will boost the cost of lending for bank and nonbank lenders. Those lenders may in turn expand their customer base to lower-credit buyers, according to Redfin, like first-time buyers and those earning less. Wages could also increase because of continued low unemployment, which could make home ownership more attainable for more Americans. Here’s how much the CEOs at seven top public real estate firms made last year. While Marc Holliday’s 2017 income was down from its $23.05 million peak in 2015, he remains the highest-paid CEO at a major office REIT. Last year, he took home a $1.35 million salary, a $1.94 million cash bonus and a $4.5 million equity bonus — the latter based on operational targets. SL Green missed some of its goals, including a 97 percent occupancy rate (it managed 95.3 percent) and a 2.5 percent increase in net operating income at the same locations (it increased by 2 percent.) But it made others, including $650 million worth of property acquisitions and sales, and the full leasing of its 6,018-square-foot retail building at 719 Seventh Avenue. Holliday’s income was a staggering 302 times greater than the company median income of $57,708, which includes building operations. Sandeep Mathrani’s income has taken a roller coaster ride over the past six years. In 2012, he earned a total $4.22 million. He went on to take home $22.1 million in 2013, $6.44 million in 2014, $39.25 million in 2015 and $10 million in 2016. In 2017, General Growth Properties’ last year as an independent company, Mathrani made $11.33 million. This summer, Brookfield Property Partners bought the retail REIT in a $15 billion deal and rebranded it Brookfield Property REIT. Like other mall owners, GGP had been struggling amid a broader retail malaise. The company’s board apparently thought Mathrani did well given the circumstances: He collected a $2.01 million cash bonus and an $8 million stock bonus in 2017. 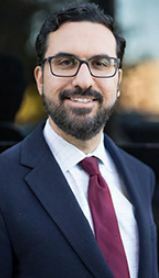 A May analysis by Crain’s Chicago found that Mathrani could land a payout of up to $189 million thanks to the merger, which includes the value of shares he owns and potential severance payments. GGP’s median employee income in its final year was $80,869. At 77, Steve Roth is one of the oldest CEOs of a public real estate company. But while questions over when (and whether) he plans to retire have been swirling for years, he has shown little interest in giving up his job. 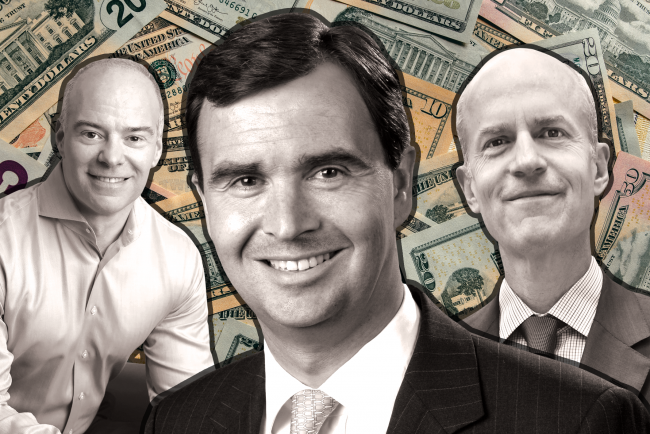 It’s perhaps not hard to see why: The Vornado chief made $10.47 million last year — his second-biggest paycheck in the six-year period The Real Deal reviewed. Roth’s base salary was $1 million, slightly less than what he earned in 2016, but his performance-based award of units in the REITs operating partnership increased to $5.61 million from $5.31 million in the same period. Last year, he was also given a personal car and driver, which cost the company $297,319. The median Vornado employee income, meanwhile, was $61,824, including the REIT’s cleaning and maintenance business. Boston Properties is one of the few office REITs whose stock has rewarded investors over the past few years, and CEO Owen Thomas’ pay reflects that. He earned $10.06 million in 2017, up from $10.01 million in 2016 and his highest income in the six-year period TRD reviewed. On top of his $875,000 base salary, he collected a $2.42 million cash bonus and a $6.74 million stock bonus. Thomas, a former chairman of Lehman Brothers, took over as Boston Properties’ CEO from its founder, Mort Zuckerman, in 2013. Under Thomas’ leadership, the company has pursued ambitious development projects in New York City, including the Brooklyn Navy Yard’s Dock 72 in partnership with Rudin Management, and 3 Hudson Boulevard on Manhattan’s Far West Side in a joint venture with the Moinian Group. Boston Properties’ median employee income was also higher than its competitors’ at $104,897. Robert Sulentic, who became CBRE’s CEO in 2012, notched his biggest paycheck ever last year thanks to a $5.13 million stock bonus. That came on top of his $990,000 base salary and $2.49 million in “non-equity” incentive payments. Sulentic had made a total $4.96 million in 2016 (he only received 50 percent of his equity bonus that year because the company awarded it in March rather than August) and $7.7 million in 2015. His pay bump came after the commercial brokerage raised its net income to $2.05 per share, up from $1.71 in 2016 and $.96 in 2013. Unlike most other publicly traded commercial real estate companies, CBRE has also been profitable for its shareholders, with a three-year total return of 6.29 percent, according to Morningstar. CBRE’s median employee income in 2017 was $57,303. In 2017, his first full year as CEO of Jones Lang LaSalle, Christian Ulbrich made $9.22 million. On top of his $809,858 base salary, he took home a $2.46 million stock bonus and a $5.84 million cash bonus. But that’s down from the total $12.66 million his predecessor, Colin Dyer, earned in his last full year as the commercial brokerage’s chief in 2015. Ulbrich, who replaced Dyer in October 2016, had been with the company since 2005, starting off as managing director of JLL Germany before rising up the ranks. JLL’s median employee income last year was $48,000. Ryan Schneider’s paycheck last year was his smallest since 2012. Realogy — parent to the residential brokerages Corcoran Group, Citi Habitats and Sotheby’s International Realty — has been dealing with a slowdown in the luxury apartment market. The company’s three-year shareholder return is a staggering negative 23.43 percent, according to Morningstar. Still, its earnings rose to $431 million from $213 million in 2016. “Realogy’s executive compensation programs are designed so that there is alignment between executive pay and company performance,” a company spokesperson told TRD in a statement, adding that Realogy “continues to maintain market share and generate substantial revenue.” Realogy’s median employee income last year was $57,295. In the real estate tech industry, the rich are getting richer. Much richer. WeWork led our annual ranking of the largest venture capital funding rounds for the second straight year, thanks to a $3 billion investment from SoftBank’s Vision Fund. Opendoor, which came in fourth, made the top four for the second time since 2016. And Compass, which placed fifth, has made the top five each year since 2016. That the same companies keep raising the biggest funding rounds year after year is indicative of a bigger trend: more and more venture capital goes to fewer and fewer companies. And while the big players are drowning in cash, many smaller startups are struggling to survive amid a more hostile funding environment. Crowdfunding company RealtyShares, which had previously raised $63 million from investors, all but shut down in November after it couldn’t find new sources of funding. A failed, year-long hunt for more venture capital also preceded the downfall of roommate-matching platform Roomi, which laid off most of its staff last month. The gap between rich and poor is bound to keep growing. At the time of writing SoftBank was in talks to invest another $16 billion in WeWork. In a sign of how bullish investors are on the co-working industry, five of the ten biggest funding rounds this year were raised by flexible office operators. WeWork has raised money from SoftBank so many times now that it’s hard to keep track. In August 2017, SoftBank committed $4.4 billion. A year later, it invested another $1 billion. And this November, it committed another $3 billion, at a $45 billion valuation. If the $16 billion investment happens, it would push SoftBank’s total commitment to the co-working company to over $24 billion. But whether it will is far from certain. Last week the Wall Street Journal reported that SoftBank is facing resistance from the two biggest investors in its Vision Fund, Saudi Arabia’s Public Investment Fund and Abu Dhabi’s Mubadala Investment, which fear too much exposure to a single company. 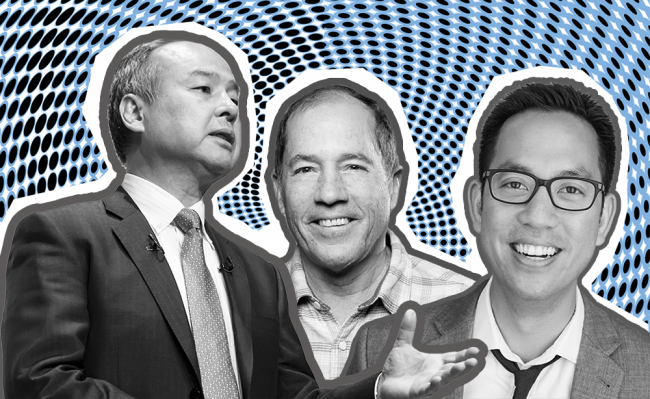 Under the terms of the proposed deal, SoftBank would buy out other investors for $10 billion and invest another $6 billion in the company over several years. WeWork can certainly use the money: it is reportedly heading for a $2 billion operating loss in 2018. The case of construction startup Katerra shows that raising a lot of venture capital can be a mixed blessing. In January, the California-based company landed $865 million from SoftBank in January, along with a mandate to accelerate its expansion. But the company has, at times, struggled with the pace of growth. The Information reported in August that Katerra, which acts as a general contractor and manufacturer of construction materials in one, has faced issues, and a brief shutdown, at its Arizona factory. Opendoor, an online platform that buys and sells single-family homes, cemented its status as one of the country’s best-funded startups in 2018. And of course SoftBank had something to do with that. In September the Japanese conglomerate invested $400 million in the startup at a $2 billion valuation, adding to the $325 million it had raised three months earlier. The San Francisco-based startups buys homes from owners looking to sell quickly, charging a 6.5 percent fee, and then puts them up for re-sale. The San Francisco-based company, which previously raised $210 million in a Series D funding round in 2016, said it wants to use the new money to speed up its growth. Compass’ ability to raise more and more money with each passing year seems to be limitless. After raising $150 million in 2016 and $450 million in 2017, it landed another $400 million this year. Any guesses as to who led the latest funding round? The round valued Compass at $4.4 billion, but who exactly gets to benefit from all that wealth is unclear. Avi Dorfman, who claims he co-founded the startup (Compass denies this), is fighting the company in court and wants upward of $200 million. Apartment hotel startups are all the rage these days. The best-funded among them is San-Francisco-based Sonder. In August the company, which leases apartments in bulk, furnishes them and turns them into short-term rentals, raised $85 million in a Series C round led by Greenoaks Capital, bringing its total funding to $135 million. The startup wasted little time putting that money to use. In October, Sonder announced that it master-leased 169 apartments in Metro Loft Management’s 20 Broad Street for its first New York City location. To get around the city’s restrictions on commercial short-term rentals, Sonder makes sure its buildings meet hotel zoning and building requirements. The units “look like residential apartments, but are actually built out as hotel suites,” said the company’s New York City general manager Arthur Shmulevsky told TRD at the time. WeWork isn’t the only co-working company capable of raising lots of money. New York City-based Industrious raised $80 million in a Series C round led by Fifth Wall Ventures and Riverwood Capital in February, bringing its total funding to $142 million. Meanwhile, Industrious partnered with mall owner Macerich to bring co-working spaces into unused retail space. Procore is the second construction “startup” in this year’s top 10. The California-based company raised $75 million in a Series H funding round in December, at a $3 billion valuation. Founded in 2002, Procore can hardly be called a startup anymore: it has 1,300 employees in multiple offices around the globe. With co-working spaces sprouting up all over New York City and WeWork offering heavy discounts, it’s increasingly difficult for small flexible office companies to compete. One strategy is to offer a completely different product compared to the competition, and The Wing is perhaps the best example of this approach. Founded by Lauren Kassan and Audrey Gelman in 2016, The Wing manages women-focused co-working spaces. Investors are buying the concept. Last year the company raised $32 million, much of which came from WeWork. And this December it added another $75 million in a Series C round led by Sequoia Capital. In October, the company said it will start offering child daycare to members. Flexible office company Knotel raised $70 million in a Series B funding round in April and added another $60 million in October, as it continues to open new locations at breakneck speed. 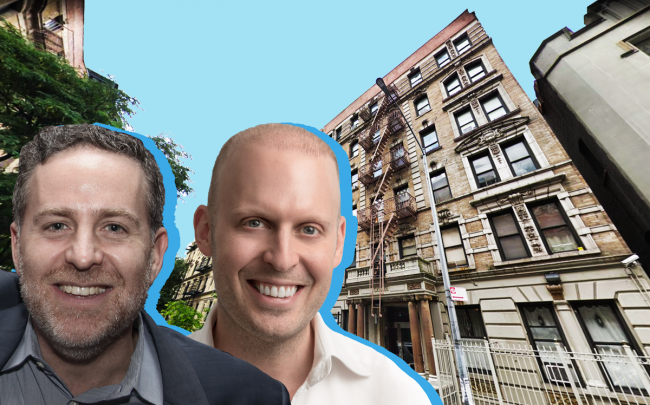 The startup’s backers include the real estate companies Newmark Knight Frank and the Sapir Organization, which jointly led the Series B, and the Wolfson Group, Moinian Group and Wainbridge Capital. As of mid-December, the company had grown to more than 100 locations in several cities, and a combined 2 million square feet. The expansion has come at a cost. In the first nine months of the year, the company had an EBITDA loss of $24.1 million on $17.6 million in revenues. Note: Ribbon raised $225 million this year, but it hasn’t publicly disclosed how much of that amount was equity, as opposed to debt, so it wasn’t included in this ranking.